I wrote last time about mix-ins that I didn't think added to the ice cream. I also talked about how there was another ice cream I thought that I wouldn't like because of the mix-ins and how I was wrong. I really didn't think that the Cannoli Ice Cream (from their site: "Mascarpone Ice Cream with Fudge Covered Cannoli Pastry Shell Chunks & a Mascarpone Swirl.") from Ben & Jerry's needed fudge when I read about it for the first time. Chocolate? I am a cannoli purist -- I lived in Boston's North End for seven years (I loved it there) and can have debates with friends over whether Maria's or Modern is better. 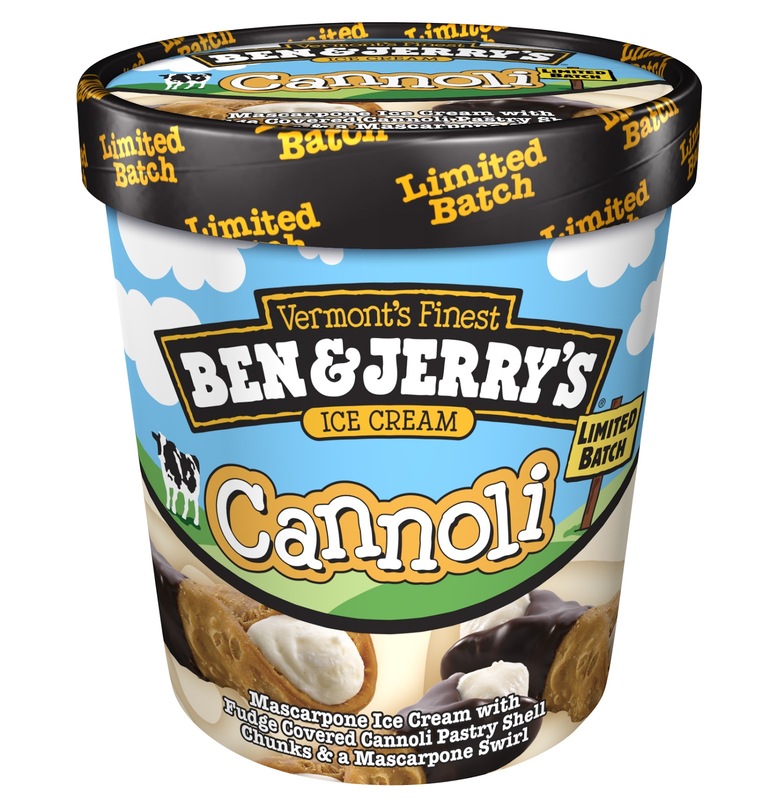 (Ok, ok, maybe a real purist wouldn't even want to try Cannoli Ice Cream.) But I did. I wanted to try it anyway. 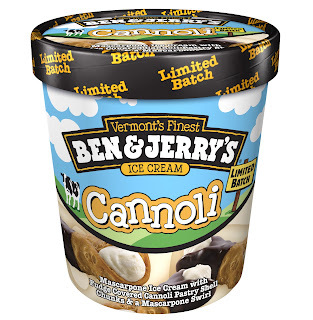 Husband: What flavor is Cannoli? *So then I ran into a problem. At the time of this writing, I was very pregnant and I started to crave it. I made my husband and daughter and I go back to the Shaw's (not our closest grocery store, I might add) to go shopping...and guess what?! They were out. So, I have polished off a pint of Cherry Garcia (still an excellent standby) but I was still craving Cannoli. I'll just have to keep looking. It's a good thing I found this. Just the other day I realized my other Cannoli supplier would never be my supplier even if they did arrive out in these parts. They no longer make it. Ben & Jerry's...please don't do this to me and take it off the shelves in the end. Make this a permanent flavor. I would be so grateful. So here it is. To mix-in. I'm having a bit of a mix-in mix-up. Usually I like mix-ins. In this way, I do not take after my mother. She's not a fan. Here's what happened. I bought two ice cream flavors recently -- one that I expected I wouldn't like as much because of the mix-ins and another I thought I would like because of the mix-ins. In both cases, I was wrong. Well, I'll be..."small sea salt caramel truffles that have been bathed in chocolate." You got it, Ice Cream Informant! I don't know why I doubted you except for the fact that it just didn't taste that way to me. Anyway, would I buy this again? Yes. But would I be happier without the mix-ins? Yes. Stay tuned for my next post where I am happily surprised with the mix-in.